June 20th; Every minute eight people leave everything behind to escape war, persecution or terror. There are several types of forcibly displaced persons. Refugees: A refugee is someone who fled his or her home and country owing to “a well-founded fear of persecution because of his/her race, religion, nationality, membership in a particular social group, or political opinion”, according to the United Nations 1951 Refugee Convention. Many refugees are in exile to escape the effects of natural or human-made disasters. Developing countries host four-fifths of the world’s refugees. The 48 Least Developed Countries provide asylum to 2.3 million refugees. 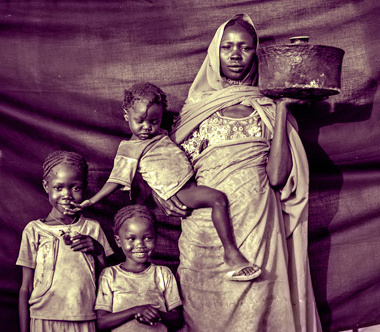 Internally Displaced Persons: Internally Displaced Persons (IDPs) are people who have not crossed an international border but have moved to a different region than the one they call home within their own country. important government services, including health care, education or employment. Returnees: Returnees are former refugees who return to their own countries or regions of origin after time in exile. Returnees need continuous support and reintegration assistance to ensure that they can rebuild their lives at home. An estimated 43.3 million people worldwide were forcibly displaced due to conflict and persecution. Among refugees and people in refugee-like situations, children constituted 46 per cent of the population. 876,100 individual applications for asylum or refugee status were submitted in 171 countries or territories. The number of internally displaced persons, benefitting from UNHCR’s protection and assistance activities, was 15.5 million. UNHCR identified some 3.5 million stateless people in 64 countries. However, the actual number of stateless persons worldwide was estimated at up to 12 million.